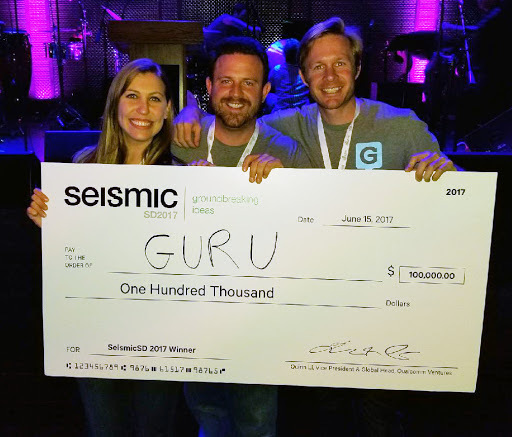 Guru wins $100k from Qualcomm Ventures at SeismicSD 2017!! Ok, we are back to tooting our own horn for just a sec. Forgive us! But seriously, we kinda need to take a moment. 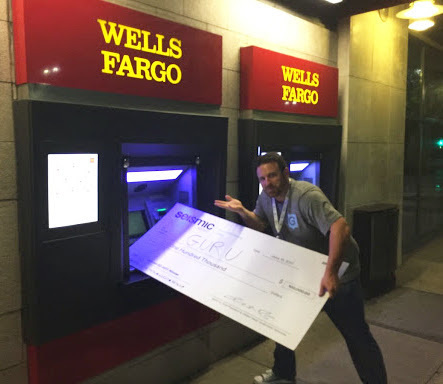 Pitching to a group of esteemed VC’s and successful founders at SeismicSD 2017, Guru took the highest honor of the night: $100k in funding. The Mayor of San Diego, Kevin Faulconer, was even there to present the award! We are thrilled! But mostly, we are feeling thankful–thankful to each and every one of our partners for taking a chance on Guru as we wouldn’t be here without them. We are beyond excited to continue innovating, growing, and making the San Diego community proud. Also, a big shout-out to all of our supporters along the way as well as San Diego Venture Group and Mike Krenn for making the event happen, EvoNexus, and of course, Qualcomm Ventures. It truly takes a village! Thank you!